Enjoy a warm and restful stay at Hotel Raj Plaza with a central location in Jaipur. The hotel has a vibrant outlook with the smart play of pastel colours soothing to the eyes. The simple and vivid rooms are spacious with well-furnished modern interiors, and amusing artwork are welcoming and homely. 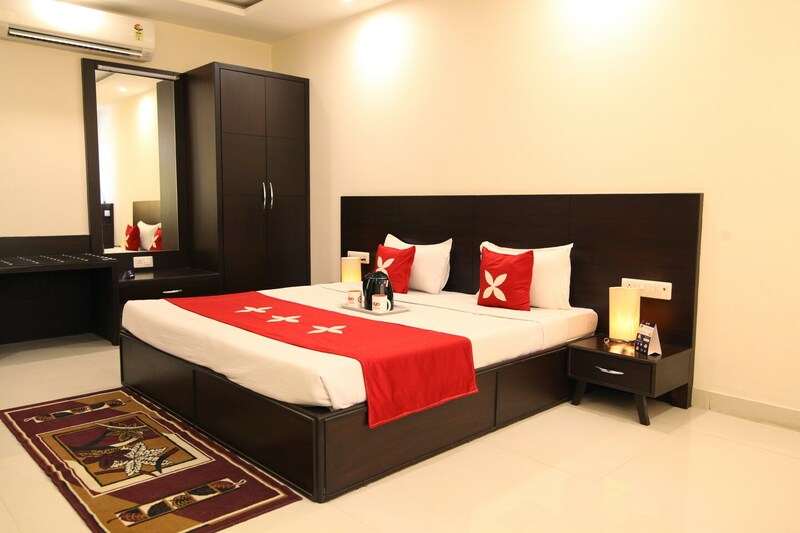 The rooms are well-equipped with a heater, mini-fridge, and various other amenities for the convenience of the guests. Residents can avail the facilities of free Wi-Fi, parking space, and elevator. Guest can indulge in fine food from the in-house restaurant and relax at the bar. Rajasthan Polo Ground, Birla Auditorium, and Jawahar Kala Kendra are near to the hotel for a happening tour.